"KaneWolf" 2.0 has arrived! 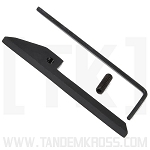 We're proud to re-introduce the "KaneWolf" slingshot part kit with an improved design featuring a low-profile button complete with a black spring and newly designed detent that won't pop out of place. No more unsightly shiny parts also! In most modern firearms its common for the user to be able to pull back on the slide and release to load the first round into the chamber. This is often referred to as "slingshot" action. Frustratingly enough, for the Ruger® MKIII™ 22/45™ this is not the case. 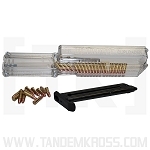 The design of the bolt stop forces the shooter to press on the slide release to load the first round. Unfortunately, in the case the user does not first pull the bolt back this action can result in wear on the bolt stop and bolt face. 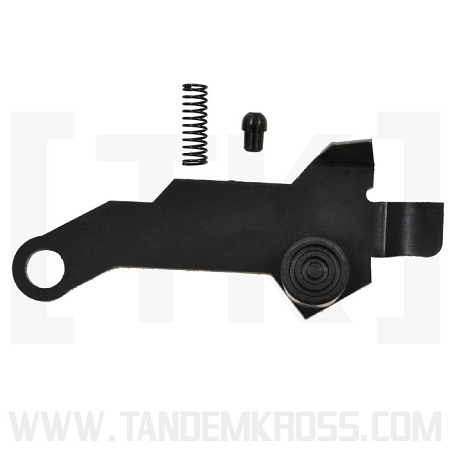 The "KaneWolf" part kit installs in minutes and allows Ruger® MKIII™ 22/45™ owners to perform reliable and consistent "slingshot" action. 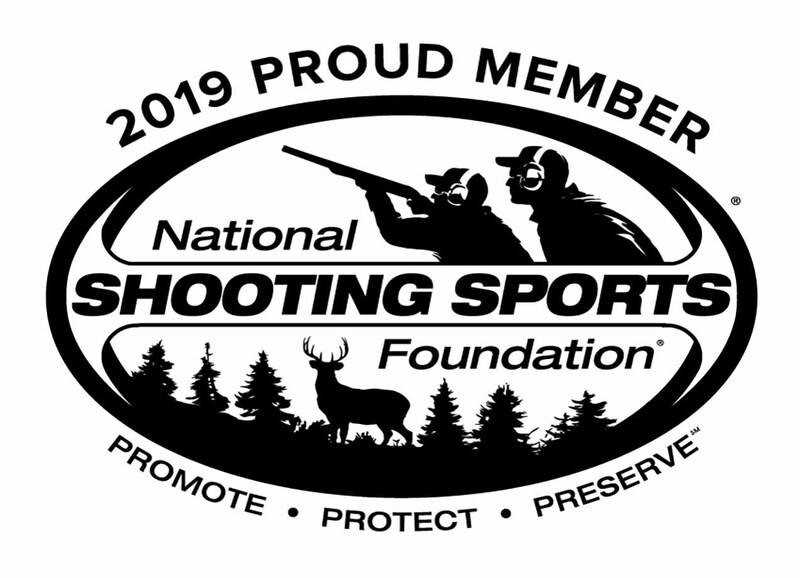 With a specially designed bolt stop that is spring assisted your Ruger 22/45 can function just like any other modern firearm today. 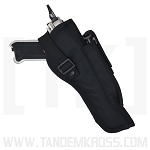 All other functions of the pistol are completely unaffected, including the last round hold open. 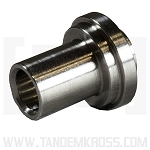 The "KaneWolf" part kit installs in minutes and allows Ruger® MKIII™ 22/45™ owners to perform reliable and consistent "sling shot" action. All other functions of the pistol are completely unaffected. 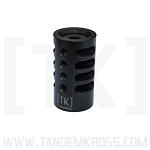 Get a "KaneWolf" for your Ruger® MKIII™ 22/45™ today! This just works 100% of the time. Simple as that. I try everything to get my 22/45 to function as much as I can like a "real" gun as I use it as a cheap training pistol. 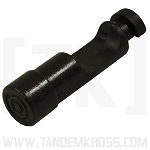 This simple part drops right in and allows you to pull back and release the bolt to load the next round (much like you would rack a slide) after the bolt has been locked in the rear position. The way that Ruger has them coming from the factory is that you have to pull back on the bolt while simultaneously using your other hand to press the bolt stop lever down in order to avoid damage to the part. This kit is an excellent addition to the Ruger 22/45. It itstalls easily, is well made and works perfectly every time. 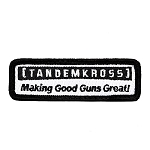 I have ordered several aftermarket parts from Tandemkross. They have all been shipped promtly, well packaged, with installation instructions. Best aftermarket parts source I have found. This is a must have part. Follow the installation instructions and it goes in super easy. Makes the 22/45 a perfect pistol. This part is wonderful. Follow the installation instructions and it goes in real easy. Makes the 22/45 work like a real gun LOL I love it and you would too. This is one Neat Must Have Part. Easy to install, Works PERFECT every Time. 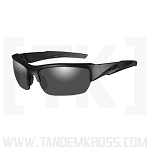 Q: Will these work with the new MK IV's? 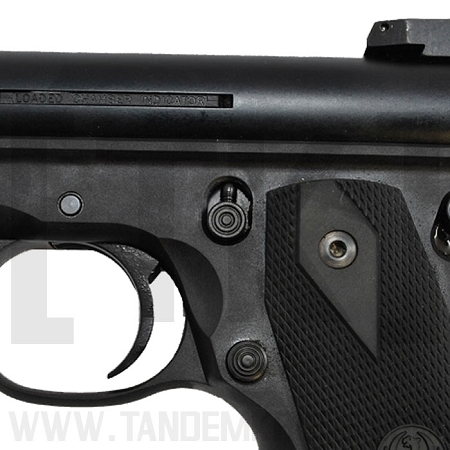 A: No The Kanewolf will NOT work on the MKIV series of pistols. The slingshot action is actually already built into the new MKIV models. 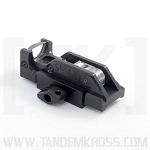 Q: Will this part work with a MK II 22/45? Thanks! 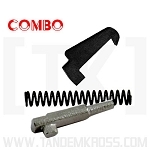 A: The Kanewolf Sling Shot will NOT work on the MKII 22/45. 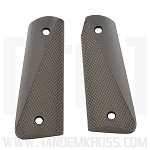 This part part is made specific to the MKIII 22/45 pistols. A: Over time as with any part the Kanewolf will wear out. It should last some time before this happens. All of our parts have a lifetime warranty so if it wears out please contact us for a replacement. Q: Will this work on my MKIV 22/45 Lite? 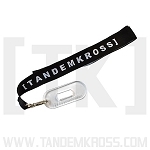 A: The Kanewolf Slingshot will not work in the new MKIV and MKIV 22/45 lite models. Ruger recognized that this was an issue and built the slingshot feature into the new pistols.